Kathleen Murphy, Jennefer (sic) Boysko, John Bell, took all 3 of Sterling’s House of Delegate seats. This is finally it: Sterling is a thoroughly Democratic stronghold, with the leadership at the local level that it deserves. Sup. 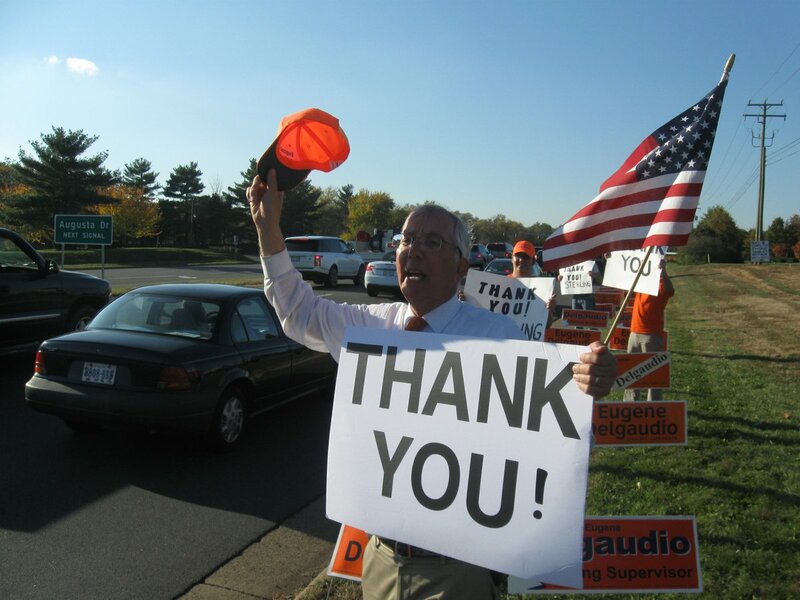 Delgaudio thanks the voters. We feel the same way. [*] The astute politico will note that, actually, there are still several other Republicans who represent Sterling: the county’s constitutional officers. I’m giving myself the slack necessary to limit this post’s observations to people in law-making capacities (and Joe Biden).